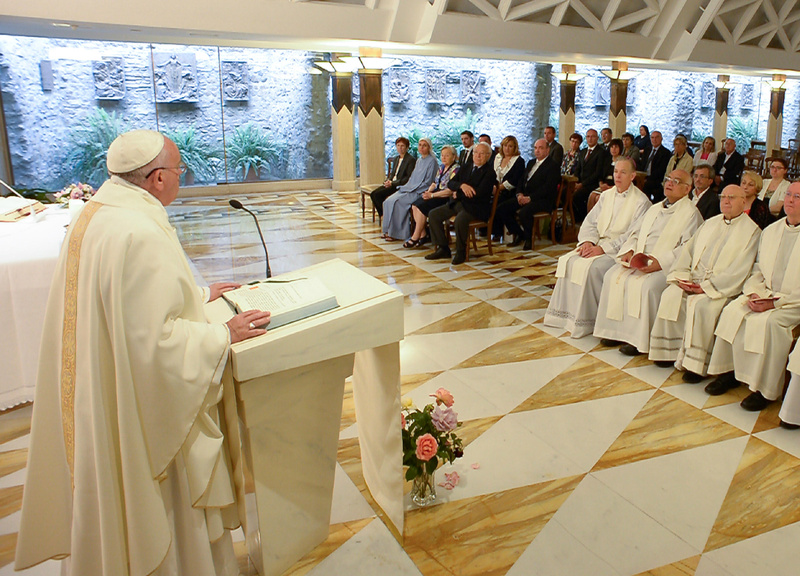 According to Vatican News, Pope Francis gave this reminder during his daily morning Mass at Casa Santa Marta as he reflected on the readings of the day (Mark 5:21-43). Specifically, Francis said it is necessary to contemplate today’s Gospel, according to Mark, which indicates ‘a day in the life of Jesus’ and healing stories, for they, he said, are models for shepherd, bishops, and priests. Reflecting on how Jesus was “with the people,’ and cared for them, Francis recalled how Jesus was in their midst, not absent. That presence and availability, Francis said, is an example of being a shepherd. He also told a story about a holy priest who accompanied his people. The Pope said this man was tired in the evenings but that it was a “real tiredness” of “one who truly works” with people. The Holy Father also recommended that difficulties are confronted with tenderness. Recalling that during when, on their days of ordination, bishops and priests are anointed with oil, Francis clarified that the ‘true oil’ is that of closeness and tenderness. A good shepherd, Pope Francis said, “ends his day tired.” If his attitude is of doing good, he said, the people will feel the presence of the living God. Pope Francis concluded, praying: “Today we could pray during this Mass for our shepherds, that the Lord give them the grace to walk with the people and to be present for them with much tenderness and closeness. “When the people finds its shepherd, they feel that special sensation only felt in the presence of God, as today’s Gospel ends: ‘they were utterly astounded.’ This amazement comes from feeling the closeness and the tenderness of God in the shepherd,” he said.